In the subject line please write: ATTENTION: (Name) and then your subject. Your e-mail will then be forwarded to the relevant Councillor. 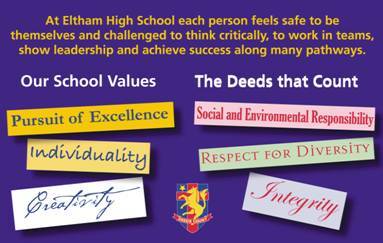 The Eltham High School Council has adopted these Standing Orders.